30-inch Hardened and tempered raker tooth blade for fast cuts and long life. For use with Gilmour 530, 30-inch band saw. 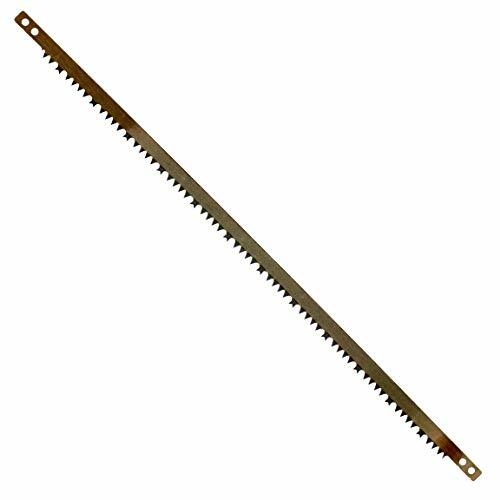 21" x 3/4" Replacement Pruning Saw Blade, Peg Tooth Design Of Induction Hardened Teeth, For 331-21 Bow Saw. 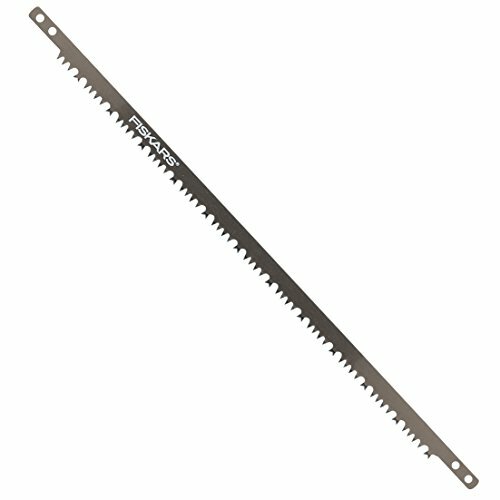 Truper 30263, REP-AJT-21, Bow Saw Replacement Blade For 21-Inch Bow Saw, Keep A Spare On Hand. Fits 21-inch Truper saw model: 30255. Lift Cam-Lever on saw to remove old blade from saw frame-Insert FRESH blade, close cam lever tight. Clean equipment after each use and oil for-year of trouble free use. a bow saw is mainly used for cross-cutting branches. Stock up on quality Truper Tools for other projects today. Truper has been in the hand tool manufacturing business for over 40-year and is by far the largest Mexican company in its field. Truper relies on the most advanced modern and efficient technology to guarantee the optimum quality and value of its products and demanding service needs of the company's global customers. Heavy duty tubular steel frame with tempered double cut steel blade. 21in. Blades with push and pull cutting action for optimal efficiency. Blade replacements available. The item is Bow Saw Replacement Blades . Used for Power Tool Accessories, Blades - Other. The product is manufactured in China. 24-inch Hardened and tempered raker tooth blade for fast cuts and long life. For use with Gilmour 524, 24-inch band saw. Mint craft JL606-8340 Bow And Hacksaw Blades 12" are made with combination alloy steel construction. 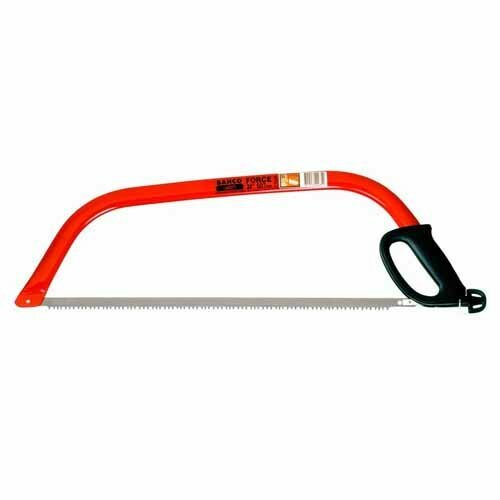 Includes bow saw blade with hardened teeth for durability and 18TPI hacksaw blade. For use with Mint craft Combo Saw.